The Walmart dairy section on first glance looks like it’s got it’s act together, organic wise. After all they have a lot of organic labels here, Horizon being the most prominent one. Horizon’s parent company Dean Foods has a strong partnership with Walmart. Thus they are stocked in a big way. All isn’t peachy-keen though in dairy organics land though. Virtually all organic dairy is ultra-pasteurized dairy, and Horizon is no exception. So what’s the difference between pasteurized and ultra-pasteurized milk? Is this really a big deal? Yes, it is. Ultra-pasteurized dairy products do not require refrigeration before opening and have a shelf life of months. They are a highly processed food. But I know it’s really easy to overlook the difference. 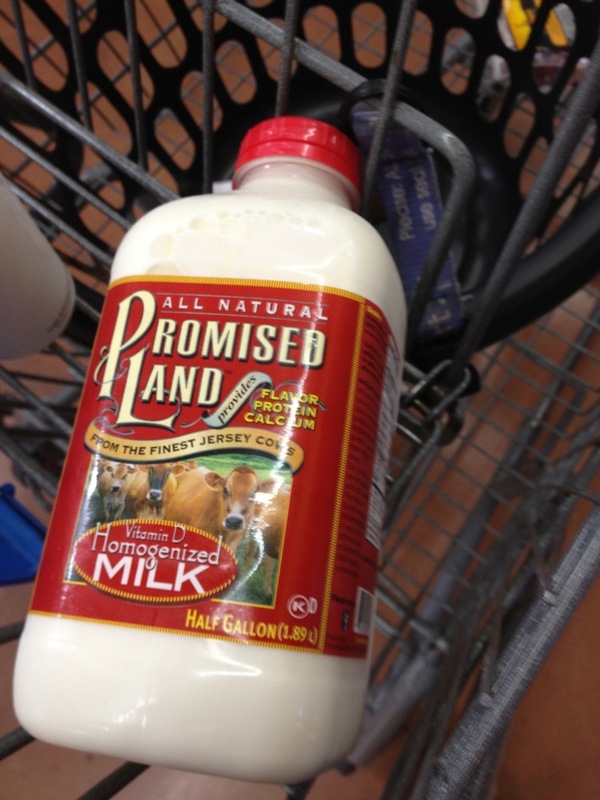 OK, so most of the seemingly good choices in the Walmart dairy aisle are not-so-good. So what are we to do here? What else can we pick from? We have several compromises we could choose to make. First and most obvious is to simply buy regular whole milk. This is going to be from factory farm dairies with the cows fed GMO grains, antibiotics and hormones. So not so good a choice. The other technique is called higher-heat/shorter time (HHST), and it lies somewhere between HTST and UHT in terms of time and temperature. So not the best, but at least it’s not treated with rBST or rBGH. Since this is a Texas based company I’m not sure how wide a distribution this sees across the country. Perhaps other regions stock a brand of lower temp pasteurized milk. Ideally, you’d go for a vat pasteurized brand, though I didn’t find anything like that at my Walmart perhaps you’ll have better luck in your region. If you can’t find vat pasteurized next go for whole milk that simply isn’t ultra-pasteurized and hormone free if you can find it. Never choose 2% or skim milk. So being certified organic is the lesser concern here, though I’m still concerned. Non-organic milk is produced by factory farmed cows eating the same GMO grains we talked about over in the previous post on Walmart beef. rBST and rBGH free …. What about cheese and other dairy products? I did find a number of interesting cheeses like Kerrygold Dubliners Grassfed Cheese in the deli section. I’d stop by this section first for the highest quality cheese. 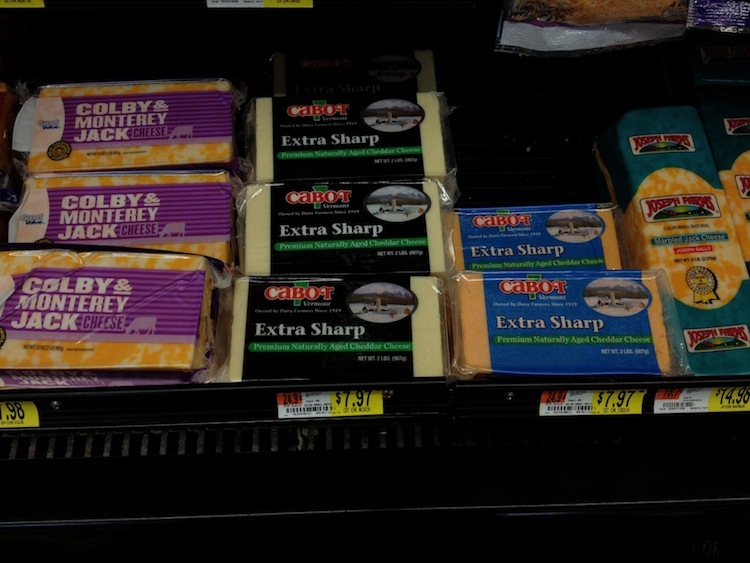 Also, lots of Cabot brand cheese. 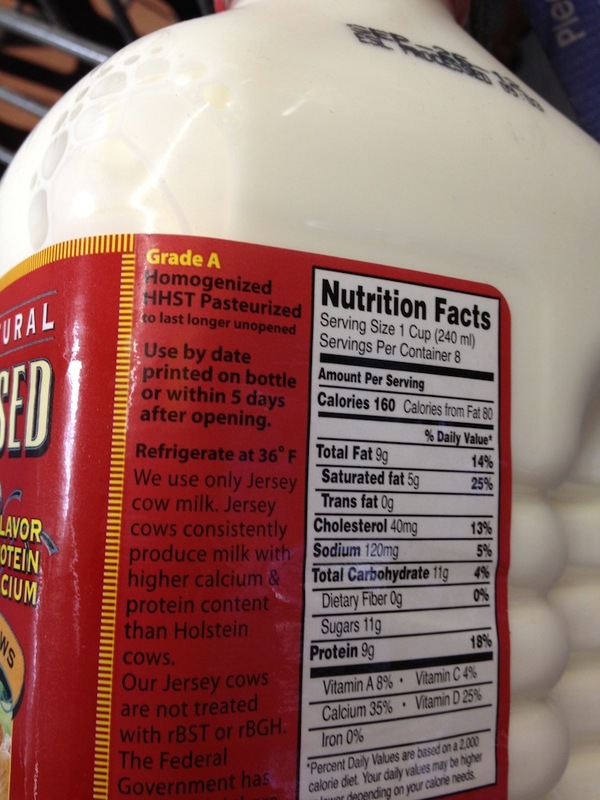 This is simply labeled “pasteurized”. 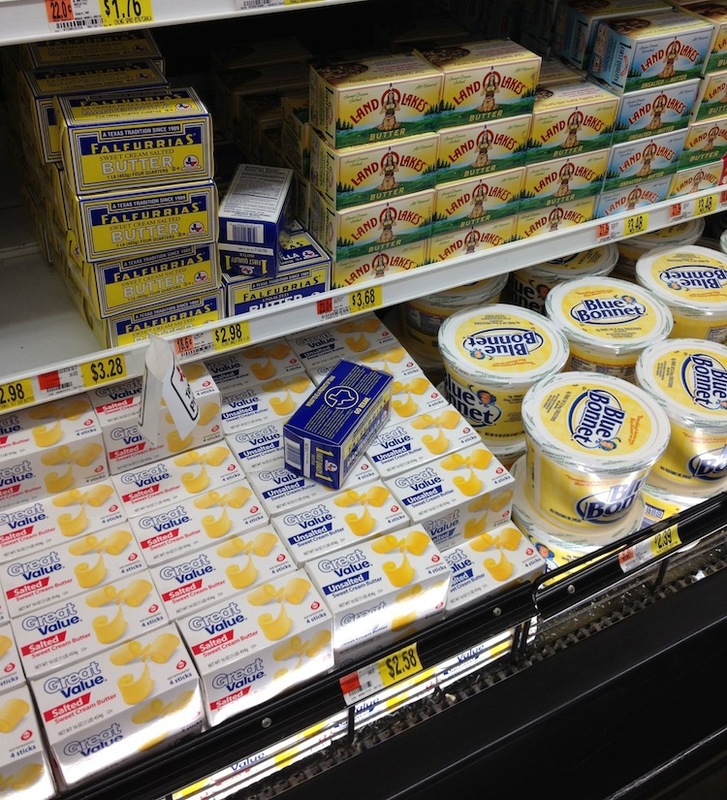 Butter choices are limited but they do have butter in stock amidst all the PUFA spreads. That’s it for this week … Next week we’ll look at dry goods like grains, flours, pastas, canned goods, condiments, etc … Should be fun!